Opportunities like this don’t come around very often, folks! 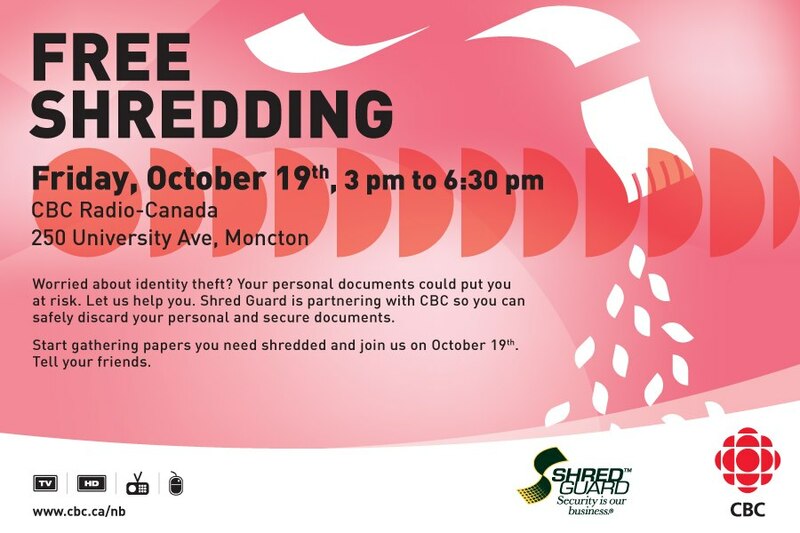 CBC/Radio-Canada and Shred Guard are offering a free shredding service on Friday, Oct. 19, from 3-6:30 p.m. at the CBC/Radio-Canada building located at 250 Université Avenue in Moncton. You can never be too safe these days! Protect your identity by having your personal documents shredded in a proper and secure manner.